FLOWERS – The flowers on the Communion table this morning were provided by Louella Hanson. LAST SANCTUARY WINDOW DEDICATION – We dedicated the last New Testament window “The Ascension” followed by a reception in the Fellowship Hall. 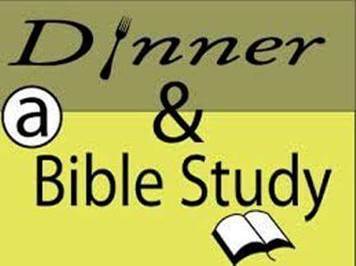 THURSDAY Dinner and a Study – We get together for a Pasta Dinner at 6:15 pm in the Fellowship Hall. A-F bring Bread and Salad, G-Z bring Your Favorite Pasta Dish. Bible Study and Youth Group following from 7:00 to 8:30 pm. with Young Life on Thursday, September 20 from 7:00 to 8 pm in the sanctuary. There will be refreshments! TAKE ME OUT TO THE BALL GAME! – Join us Saturday, September 29 at the 6:10pm game to watch the Mariners vs the RANGERS. NEXT WEEK Pastor David continues the series A New Way of Life with the message “They Had Been with Jesus” from Acts 4:1-14. The Dowsings will be hosting their Bible study again starting in October. into a comprehensive study of the book of Romans. The study format is a ½ hour lecture followed by ½ hour for discussion and prayer. The study runs from 7pm to 8pm. The day has yet to be decided on. Monday, Tuesday or Wednesday are being considered. If you are interested in participating in this study, call Dale or Holly at 206-824-7031. 1. Acting chairman, Dave Rohland opened the meeting on time and we read the Behavioral Covenant. 2. Judy Nelson opened the meeting with prayer. 3. The minutes of the June meeting were reviewed and approved. 4. New officers chosen were as follows: Chairman, Dave Rohland; Vice Chairman, Daryl Fuskerud; Clerk, Paul Hanson; Treasurer, Rick Gettis; Member at large, Judy Nelson. These choices were approved by a unanimous vote of all members present. These members were; Pastor David Johnson, Dave Rohland, Daryl Fuskerud, Rick Gettis, Paul Hanson, and Judy Nelson. 5. Money for Cherlyn to attend a music conference, in New York, was approved. 6. Pastor David gave a report on the new format for the Sunday morning service. 7. Pastor David gave us an explanation for the resignation by Merrie Carson as associate pastor. She is overwhelmed by the duties for the care of her father and the matters of estate settlement for her mother. 8. Pastor David gave the report on his doctoral dissertation that it has been accepted and approved. 9. Decor team. Discussed a need for group of people who would present decorating ideas for the church building. 10. Building improvement projects. Judy Nelson stated her concerns about the clothing bank and the need for younger people to be involved in working there. This subject came from the question about re-surfacing the deck. Other building projects were mentioned: cushions on the pews, and fixing the playground equipment. 11. New business. None was mentioned or proposed. 12. The meeting was adjourned at 8:45 p.m.